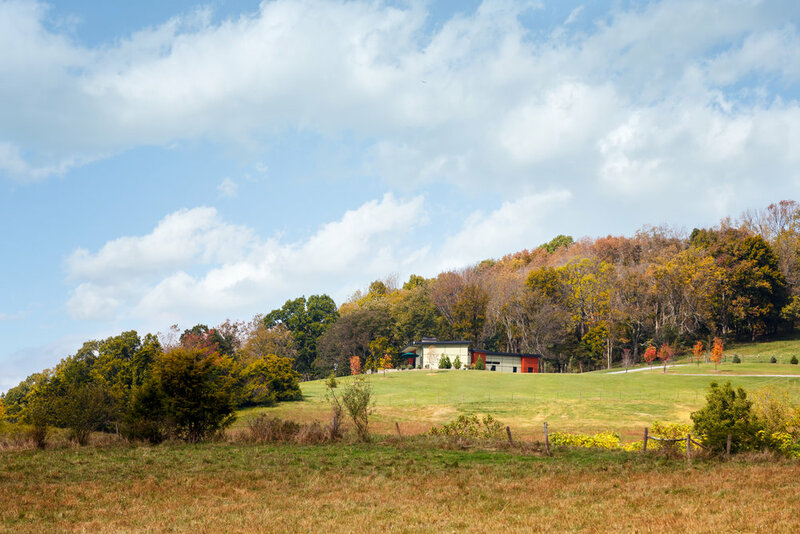 This residence is a simple form, bent and opened, to capitalize on its panoramic views of the Alleghenies and connect to outdoor spaces. 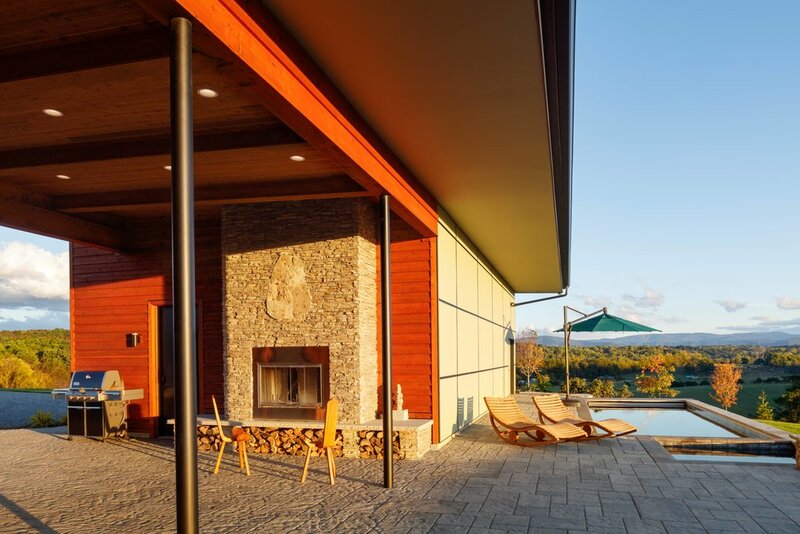 Its roof is shaped to folllow the natural ridge line creating a subtle intrusion. 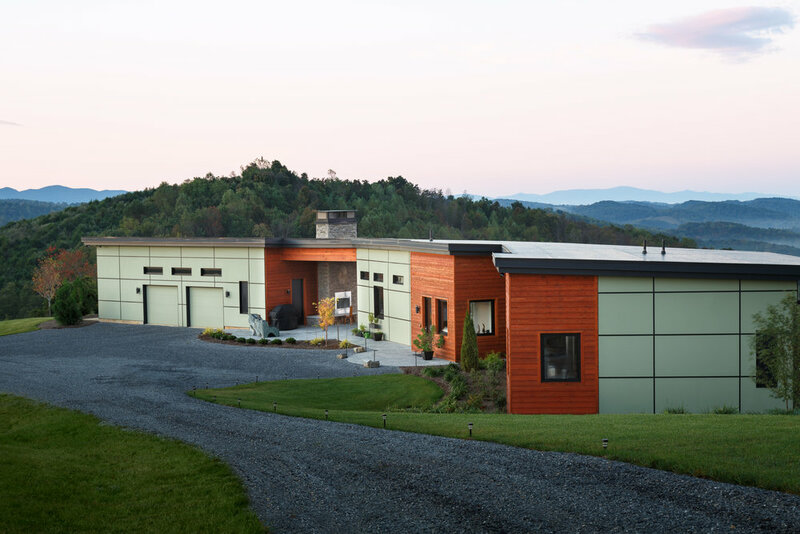 The design balances these factors while meeting the high performance standards of Passive House. Publication: CVille Abode, March 2017.